Does Oil Pulling Work As a Detox? I think the first time I became aware of oil pulling was back in 2004, when people began writing into the Foundation asking what I thought of the technique. 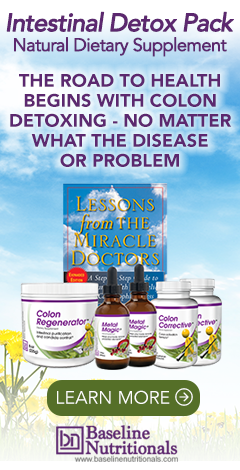 Suddenly, this "ancient" technique was the latest in "detoxing" protocols sweeping the alternative health community. Being somewhat knowledgeable about detoxing, I had a fundamental problem with the theory behind oil pulling as it was presented, but found the testimonials on its behalf more than a little intriguing. My response at the time was not to dismiss it, but to put it on the back burner until it sorted itself out. And now, some seven years later, I think my original read on the technique was correct. It definitely works, but the original explanation as a detox technique that "pulls" toxins out through the mouth is probably not correct. So, with that said, let's take a look at oil pulling: what it is, how you do it, how it works, its benefits, and finally, some recommendations on how to potentially enhance it. The basic technique is simple. Upon waking, you take one tablespoon of sesame or sunflower oil in your mouth and swish it around. Then spit it out. The details, however, are a little more involved. You need to do it first thing in the morning, before you eat or drink anything. You need to swish for 20 minutes -- give or take maybe three to five minutes. As it turns out, this is absolutely essential for the procedure to work. If you swish for much less than 20 minutes, it won't work. If you swish for much longer than 20 minutes, you run the risk of reabsorbing the bacteria and toxins back into your body. Effectively, you want to swish until the oil turns from clear and thick to a thin, white, milky consistency. You want to swish the oil back and forth between all of your teeth and side to side across all of your gums. You want to hit the cheeks and soft palate. Like butter on an English muffin, you want to "press" the oil into all the nooks and crannies of your mouth -- over and over again. Do not gargle with the oil. You do not want to risk swallowing it. Swallowing a little will not harm you, but repeatedly swallowing the oil after you've swished with it means you will be ingesting things that you're trying to get rid of. Once done swishing, spit the oil out into the toilet or sink. Use a tongue scraper to remove the coating from your tongue. Finish by brushing your teeth and rinsing with a mouthwash if you like. Perform daily for approximately 40-50 days (three 8-ounce bottles of oil will do the trick), then as desired. Where does oil pulling come from? As it was originally presented to me seven years ago, oil pulling was an ancient Ayurvedic technique for detoxing that had been "rediscovered." It was effected by swishing vegetable oil around in your mouth to "pull" all manner of toxins out of your body and into the oil in your mouth, whereupon you then spat those toxins out. Or to quote from the Indian Journal of Dental Research, "It is claimed that the swishing activates enzymes and draws toxins out of the blood. The oil should not be swallowed as it contains bacteria and toxins. "1 As I said earlier, I had several problems with this description/explanation. First, I wasn't all that convinced about its ancient Ayurvedic roots. Supposedly, it is mentioned in the Ayurvedic text, the Charaka Samhita, but whether or not you actually find it there, seems to depend on the translation you read. In some translations, it seems to refer to simple gargling. Then again, how ancient it is doesn't really matter. While it is true that there are many things that are old that are marvelously wise (like meditation and deep prayer), there are also many things that are very old that aren't so nice (like human sacrifice). The age of a healing technique matters not at all. All that matters is whether it works or not. On the other hand, everything I knew about detoxing (which is quite a bit) had a problem with the concept of oil pulling as a detoxing technique. Detoxing tends to be specialized. That is to say, it takes different techniques to detox different organs. For example, you use a different technique to cleanse the liver and blood than you do for cleaning out the intestinal tract. And you use a different technique for cleaning out the kidneys than you do for removing heavy metals. Nevertheless, there are a couple of techniques that serve as general detoxifiers (saunas and cold sheet treatments2), but these make use of the entire surface area of the skin and take substantially longer than 20 minutes. I just couldn't accept the fact that oil pulling actually worked by detoxifying the body. As for "activating enzymes," I had no idea what that even meant! And yet, there was a substantial body of testimonials that indicated it absolutely was doing something to improve health. True there are no significant studies to support most of the claims, but let's put studies in perspective for a moment. They are not all they are cracked up to be. As I've explained many times before, studies as designed by the medical community, which are subtractive by nature, don't work well when it comes to multi-faceted, additive, alternative health programs. And for that matter, they don't work all that well when it comes to medical matters either -- frequently producing flawed and/or contradictory results. Indeed, medicine as a whole is much less scientific than you might think. In any case, since I first became aware of oil pulling, the technique has amassed a pretty impressive list of testimonials on its behalf. And yes, I realize that just because you have smoke, it doesn't necessarily mean you have fire. Sometimes it really is just smoke. Nevertheless, if you have smoke, it's probably worth taking a look, just to be sure the house doesn't burn down. So let's take a look at some of the benefits attributed to oil pulling. According to an article on the Earth Clinic website3, Oil Pulling is reported to cure: "Mouth & Gum Disease; Stiff Joints; Allergies; Asthma; High Blood Sugar; Constipation; Migraines; Bronchitis; Eczema; Heart, Kidney, Lung Diseases; Leukemia; Arthritis; Meningitis; Insomnia; Menopause (hormonal issues); Cancer; AIDS; Chronic Infections; Varicose Veins; High Blood Pressure; Diabetes; Polio; Cracked Heels." Now that's an impressive list. And interestingly enough, there may be some truth to it -- sort of. In fact, most of the benefits of oil pulling may actually be indirect results from the one benefit that it probably is truly responsible for: eliminating mouth and gum disease. At any given time, there are more than 500 species of bacteria in your mouth -- some beneficial, some harmful. It is these bacteria that form the sticky, colorless film on your teeth known as plaque, the "gateway" to many health problems. When mineral salts in saliva combine with plaque, hard deposits known as tartar or calculus, which can't be removed by brushing alone, are formed on your teeth. Plaque can build up at your gum line, where even more bacteria can accumulate in the space between your gums and teeth. Toxins produced by the bacteria in plaque irritate your gums and cause them to become inflamed and bleed (a condition called gingivitis). This causes your gums to separate from your teeth, forming spaces between your teeth and gums (pockets) that become infected. The toxins produced by the bacteria and the infection in these pockets can also stimulate a chronic inflammatory response in which your body turns on itself and the tissues and bone that support the teeth are broken down and destroyed. As the disease progresses, the pockets deepen, the inflammation and infection increase, and more gum tissue and bone are destroyed. This is called periodontitis. How can bacteria in the mouth impact so many other diseases in the body? First, once the bacteria have a sheltered breeding ground in the pockets that appear around your teeth, they can proliferate exponentially. They can then easily migrate throughout the rest of your body. In fact, simple testing of most people's saliva will show the presence of these bacteria. Considering how many times a day you swallow saliva, it's not hard to imagine where those bacteria can then travel. But perhaps even more important are the exotoxins and endotoxins that the bacteria produce as a simple byproduct of their very existence. It is these toxins, which cannot be destroyed by stomach acids or easily neutralized by your body's immune system, that present the bigger problem. In fact, these toxins don't even need to pass through your intestinal tract. Many are absorbed sublingually through the capillaries in your mouth, directly into your bloodstream. In effect, these toxins are the equivalent of being hooked up to an IV that is directly feeding low levels of poison into your bloodstream 24/7. Exotoxins are toxins that are excreted by living bacteria or released upon the death of bacteria. They are highly potent and can damage or even kill your body by disrupting normal cellular metabolism. Probably the best known exotoxin is the botulinum toxin, which is an excretion produced by the Clostridium botulinum bacteria as part of its normal metabolism. It's the toxic excretion that kills you, not the bacterium itself. Endotoxins, on the other hand, are structural molecules of the bacterium, usually found in its outer membrane, that are recognized as threats by your immune system. The primary endotoxin is lipopolysaccharide, or LPS, which triggers your immune system to release pro-inflammatory markers that can be so extreme that they lead to "endotoxic shock." Even a small amount of endotoxin will cause illness in humans; thus we can see the danger in harboring exponentially proflierating colonies of harmful bacteria in the mouth -- and the consequent health advantages in eliminating them. To summarize: any bacterial infection in the mouth can easily spread throughout the entire body. Each time you swallow, more and more bacteria get to enter your digestive tract and potentially enter your bloodstream, as do their exotoxins and endotoxins which are released in your mouth. And if you manage to avoid swallowing hundreds of times a day by instead spitting repeatedly in a spittoon, you're still absorbing the toxins sublingually 24/7. All of this leads to a never-ending, low-grade infection throughout your body, not to mention never-ending, low-grade systemic inflammation. If nothing else, this taxes your immune system, leaving it less able to deal with other infectious threats as they come along. Once you understand this, it is easy to see that if you kill the bacteria in the dental pockets and stop the flow of poison into your body, miraculous improvements in health are a distinct possibility. This would have nothing to do with detoxing. It would simply be the result of killing the harmful bacteria that are protected from your normal everyday dental hygiene. The key here is that most of things that you normally do as part of daily oral hygiene cannot reach the bacteria buried in pockets. Brushing and flossing won't do it. Rinsing with a mouth wash, even one with antibacterial agents won't do it. And applying healing gels to the gum line won't do it. Only a water flossing device that applies a stream of water under pressure, if used properly, has a chance to flush out the buried bacteria. In other words, only a water-flossing device has any chance of eliminating the bacteria once they establish in the pockets. But here's where oil pulling comes in. It seems that oil pulling, too, may do the job -- and perhaps even better than water irrigation. There are several reasons that oil pulling is likely to be highly effective in killing the bacteria in your gum pockets. The fact that oil pulling sessions run 20 minutes is crucial. It allows time for the oil to "seep" into the pockets. Unlike brushing, which only lasts a couple of minutes, or using a mouthwash, which lasts a few seconds, the extended time of the procedure keeps the antibacterial agent in the mouth long enough to work its way down into the protected pockets and reach the harmful bacteria where they live. Oil is, to put it simply, oily. It does what oil does. Unlike toothpaste which only goes where it's brushed, oil seeps into the nooks and crannies of your gums. The aggressive swishing and pushing of the oil back and forth across the gums aids in pressing the oil down into the pockets. Again, doing this for 20 minutes allows the oil to penetrate deep into the pockets. The bottom line, though, is that if this is true, we should see signs that bacteria really are being killed in the mouth when oil pulling is practiced conscientiously. And in fact, there are indeed a handful of studies that support this contention. Given what we now know about oil pulling, it might be better to refer to it by its less common name, oil swishing, since there probably is no "pulling" of toxins from the body involved. On the other hand, it requires only a little bit of a stretch to say that it does "pull" bacteria out of your mouth and gum pockets. And you could also say that by absorbing the exotoxins and endotoxins present in your mouth, it is "pulling" pulling them too from your body. In any case, given its low cost and potential benefits, it probably makes sense to add it to your arsenal of health maintenance protocols. Add a teaspoon of tea tree oil (60 drops) per 8 ounce bottle of oil you use. That works out to 3.75 drops of tea tree oil per tablespoon of oil. In fact, studies have demonstrated tea tree oil's effectiveness against a number of oral bacteria.6 That's the reason tea tree oil is added to everything from toothpaste to mouthwash to "treated" toothpicks. Although people have used just about every kind of oil for oil pulling, my recommendation is use what is known to work: sesame and sunflower oils. These two oils easily have the most anecdotal evidence behind them. And although people have used all different grades of oil, I would recommend using organic, unrefined, cold (or expeller) pressed oil. I have one question though: If oil pulling doesn't "pull" toxins out of the body, why do you suppose so many people experience the Herxheimer reaction? The first time I oil pulled with sunflower oil, I had a weird dark rash that appeared under my underarms and the most likely explanation at the time was the oil pulling. Could there be another reason? It does pull toxins out there is a specialized test, a toxicity test and then did oil pulling for three times a day and then tested the level of by the end of the week toxicity levels will fall. This test is a specialized test , it is not typically covered by insurance so MD do not order it. I'm surprised there aren't more products made just for this purpose, even if the oils mentioned do the trick(coconut oil is my 1st choice). There used to be such a product but I won't even name it as I do not think it's available anymore. It was a mixture of oils and I forget what. Herbs I suppose. How about pumpkin seed oil? The taste is pretty good. Or Emu oil- I'll let someone else try that first. I wonder too if monolaurin could be added to the oil of choice. It's in coconut oil, and I have seen it in toothpaste. because they wouldn't make any money. oils are cheap, so why would anyone buy an expensive medicine with side effects to do the same thing? I have been oil pulling since Sept of 2009. I do it twice a day--first thing in the AM and in the late afternoon. I didn't notice in Jon's article mention of the fact that it works better on an empty stomach. So if you do it twice a day (or three times), you want to have a window before of not eating for best results. I also did not see mention of the fact that this process speeds up your metabolism, thus, you lose some weight. I lost 8 pounds within the first four months. I LOVE that about oil pulling! That wasn't my primary reason for starting it, but what a wonderful bonus. And--if you plan to start it, you really do need the good oil. I order Flora Sunflower oil online. Limonene is a primary constituent in lemon (essential) oil or lemongrass (essential) oil, so you could use a good therapeutic-grade one of those. Agree with you - oil pulling (OP) is very good. I keep on trying OP for several months. Obviously, it really helps the problem with my sensitive teeth, netter gum health, with better sleeping quality ... - I try to make it twice a day (very early in the morning and late at nite before sleeping. Strong recommendation to those who have problem with sensitive teeth and unhealthy gum. Definitely, I will keep trying it - to maintain the healthy condition for my teeth and gum. I've been pulling with sesame oil for a week now and noticing improvements already which is very motivating. One question though: I noticed the oil turning very thin after 10 minutes. Would it be best to keep going with this oil until 20 minutes or better to spit it out and start with fresh sesame oil for the remaining 10 minutes? This was a very interesting and much appreciated article. I have one thought for you, however. What do you think of using Barlean's Olive Leaf Extract instead of sesame and sunflower oils? Although olive leaf extract certainly has antipathogenic qualities, it is not an oil and therefore would not have tha ability of oil to "seep" into areas, nor an oil's ability to sop bad things up. It certainly might be an option to blend some olive leaf extract with an oil you were using for pulling, but I would question totally swapping out the oil for the extract. Also, I woudl really suggest that you try oil pulling with oil before you work on any variations so you have a reference point to better understand whether or not the options you're playing with are actually an improvement or not. If you don't have a reference point, you have now way to evaluate. I have problemwith my gums and I would like to do what you did. Can you give me more details and do you use the tongue scraper?? Since one is not supposed to swallow and, it seems not to spit out the oil for 20 minutes, I am curious as to the recommendation for handling the buildup of saliva in the mouth. Although I have not tried "pulling" - I have had the experience of moving other "objects" - such as hard candy - in my mouth and it takes only a few minutes before my mouth is overflowing with the generated saliva. I can only imagine how much saliva would be generated moving the tongue enthusiastically for 20 minutes. What is the rethink on not spitting and not swallowing for 20 minutes...? I did not find that to be a problem in the many times I have used oil pulling. Nor did any of the people whom I interviewed on the process express a problem with saliva build-up. I'm sure there will be some people who do have that problem, but it would seem to be a small number. I use coconut oil and I have excessive salivia. My solution is to spit a little at the five minute mark and then spit a little at the 10 minute mark. I can't make it to 20 minute mark and it doesn't feel right for me to push it. That said, my temperature and pressure sensitive teeth are no longer sensitive. And I enjoy other health benefits too. I have no desire to switch from coconut oil. I am doing it now for three weeks. Excess of Saliva is not my experience. My problem exactly. I tried it for the first time last night with cold coconut oil. My mouth had far too much saliva in it to make it the full 20 minutes. I'm wondering if a different oil would have a different effect? I had excess saliva at first, then I read you are supposed to make a chewing motion with the oil. So, I swish it less and make the chewing motion more. The chewing motion creates less saliva so now I can easily go for 20 minutes. Also, I smear some of the oil (I use coconut) around my mouth area first to avoid getting lip lines (wrinkles) from the pulling. The purpose for keeping the oil for 20 minutes is to get the whole area invigorated so toxins and pathogens can be 'pulled' out and 20 minutes seems to be optimum according to experts. I go for as long as I comfortably can .. 5, 10, 15 or 20 minutes, more often like a couple of times in a day for short duration .. or less often as if I feel the need. The point is to go with your intuition .. but not to slack off. So, keeping that in mind spit if you need to .. and right away take another spoonful/mouthful of oil and keep going. This has been my solution to occasional cough sneeze etc. or even an emergency like a phone call or a door bell during this time. I just started oil pulling and I had the same concern. It's actually surprisingly easy to push the oil to the front of your mouth (without making a mess and dribbling etc.) to swallow. I can't really explain how. It's just a natural thing. If you try it you'll see how I mean. I get quick saliva buildup as well. It's probably good because a salivating mouth is a healthy mouth! I solve this by only using about a teaspoon of oil instead of the often recommended tablespoon. I premix a blend of coconut oil, activated charcoal (for whitening), and clove/citrus essential oils (for tooth sensitivity and flavor). I swish and spit it out outside on my morning walk. The smaller amount means no uncomfortable chipmunk cheeks. Hello there, can you add DMSO instead of limonene oil????? I would question the wisdom of that. DMSO is much more aggressive than limonene when it comes to transporting things through the skin. It is quite likely to transport the toxins through the skin and into the bloodstream in the 20 minutes you are swishing around. I have done this in the past, not consistantly enough, using coconut oil. I like the feel of my teeth afterwards.